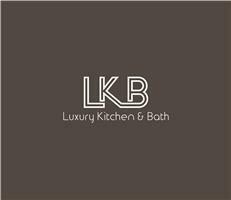 Luxury Kitchen and Bath Ltd - Bathrooms, Kitchens based in Bristol, Avon. At Luxury Kitchen & Bath we know that transforming your kitchen and bathroom remodelling dreams into reality requires careful planning and masterful execution. We are a full-service company that specialises in kitchen and bathroom remodelling. Our knowledgeable and experienced remodelling professionals will help you plan and complete your remodelling project – from the initial design concept to the completion of construction. Installation is completed by our skilled carpenters and plumbers, on staff. This allows us complete control of the remodelling process. We will handle the plumbing, tile and appliance installation. We can move walls, replace windows and doors or perform any other necessary construction modifications. Clear, concise communication keeps your project moving efficiently. Our experienced coordination means a faster, quality installation. We are on the job until the job is done. We understand that we are guests in your home. We maintain a clean, safe work environment at all times. By selecting products that provide the greatest value for your money, and using creative solutions, we can make that dream kitchen or bathroom a reality for every budget. Our exclusive, direct-buy contract with many of our cabinet manufacturers allows us to offer custom designs at unbeatable prices.